Looking for privacy near Burnside Marina? The 33,000-acre lake serves as the largest drinking water resource of the state, and is managed by the Pearl River Valley Water Supply District. The lake features 105 miles (169 km) of shoreline impounded on the south by a 3.5-mile (5.6 km) man-made dam and spillway. The western shore is bounded by the historic Natchez Trace Parkway. The 33,000-acre lake serves as the state's largest drinking water resource, and is managed by the Pearl River Valley Water Supply District. The lake features 105 miles (169 km) of shoreline impounded on the south by a 3.5-mile (5.6 km) man-made dam and spillway. The western shore is bounded by the historic Natchez Trace Parkway. 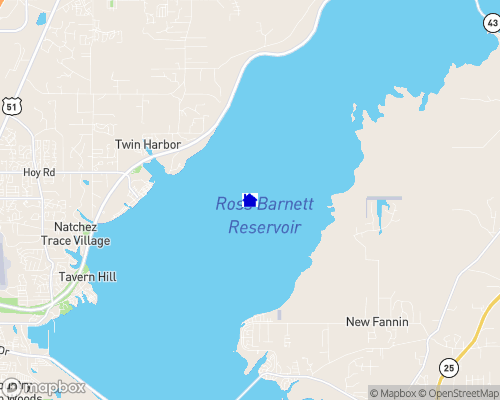 Other: Each year over two million people visit the Ross Barnett Reservoir for a source of outdoor recreation. Popular forms of recreation include boating, fishing, water-skiing, and camping. There are five campgrounds, 16 parks, 22 boat launches, three handicap.